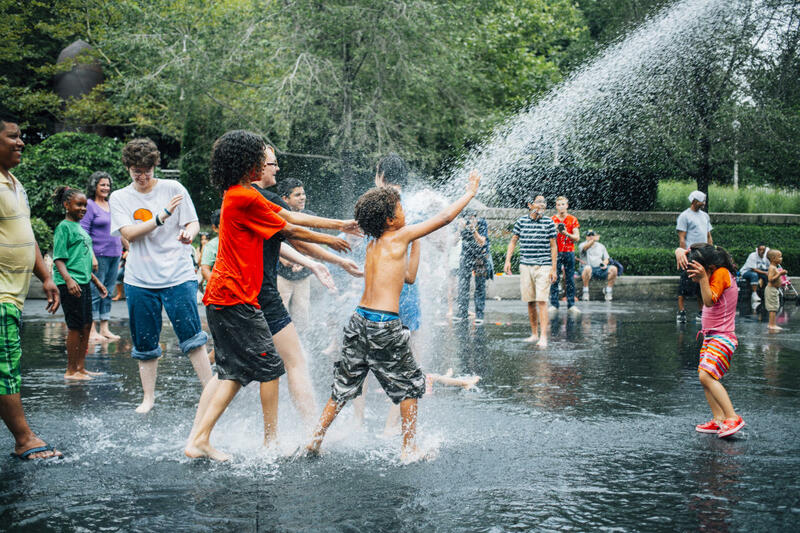 Visit the New and Improved Crown Fountain in Millennium Park! If you’ve been to Millennium Park, you’ve probably looked up at the stunning fountains at the northeast corner of Monroe Street and Michigan Avenue. They are, of course, the wonderful Crown Fountain designed and executed by the Catalan artist Jaume Plensa. 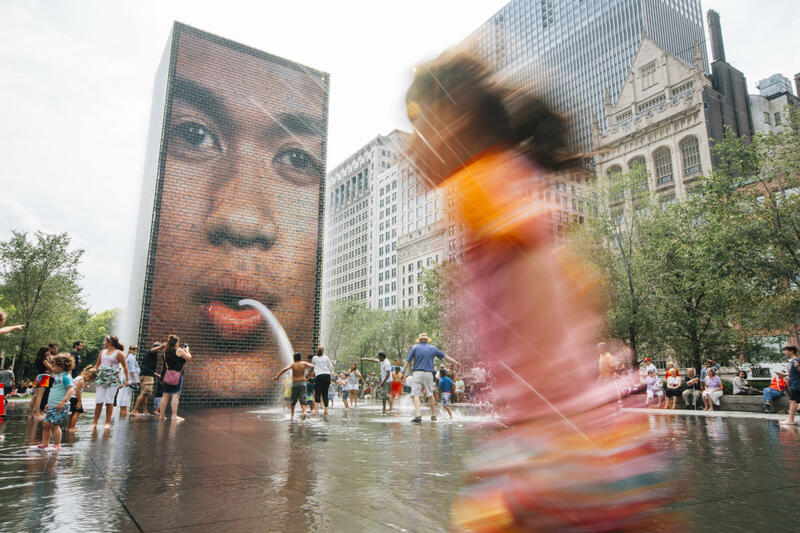 Since their installation in 2004, millions of people have played in the water that surrounds the fountains in the summer and enjoyed watching a rotating cast of Chicagoans projected on the screens that add a bit of whimsy to these amazing pieces of art. What makes these fountains worth a return visit today is that they have had their video screen replaced and the nearby streets have been repaved, making the entire experience even more wonderful than before. The 50-foot high screens now have brighter projection lights and are much more energy efficient, which is a nice touch in an increasingly “green” city. Along with these new touches, the fountain and surrounding play area remain a vibrant part of the city’s public art program that is on display for locals and tourists alike. As you look up at the fountain during the summer and delight at the wonderful water spouts, you might remind yourself that the towers are 50 feet high and the interactive water pool is 232 feet long, providing ample room for young and old to enjoy the cool touch of water on a hot summer day. Of course, there are many other things to do in Millennium Park and you can find a complete guide at millenniumpark.org. Folks with an interest in history will enjoy this amazing collection of photographs documenting the park&apos;s construction provided by the Chicago Public Library. Both resources will make your trip to see the new and reinvigorated Crown Fountain that much more enjoyable! Chicago is celebrating its many fountains, sculptures and murals throughout 2017, the Year of Public Art. Learn more about the related events, exhibits and new installations at cityofchicago.org/yopa and share your #2017isYOPA pictures with @choosechicago.